The University of Central Florida is an emerging preeminent research university in Florida and one of the largest universities in the U.S. U.S. News & World Report has named UCF one of the nation’s most innovative colleges, while both Kiplinger’s and Forbes rank UCF a best-value university. The Dept. of Health Management and Informatics at UCF offers CAHIIM accredited programs in health management and health information technology. 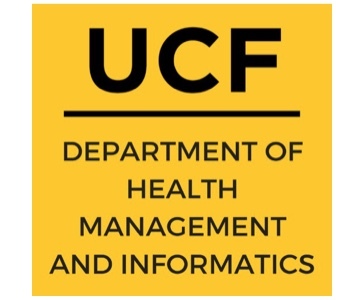 HIM professionals can consider furthering their education, as UCF offers both a Healthcare Informatics Master’s degree and a Health Informatics and Information Management Bachelor’s degree, which are available completely online. Those working within HIM and/or have their RHIT, may be eligible for additional transfer credits in the HIIM B.S. HIIM B.S. students will have the opportunity earn their CCA and RHIA credentials prior to completing the program. HCI M.S. students will have the opportunity to complete industry certifications in CPHIMS/CAHIMS, and/or PMP/CAPM while in the program.